Pictures 7-15, 7-16, and 7-17. James Buckley says that cars 143-146 were acquired by the ITS second hand in 1901 from the Metropolitan Ry. Co. of Washington, DC. 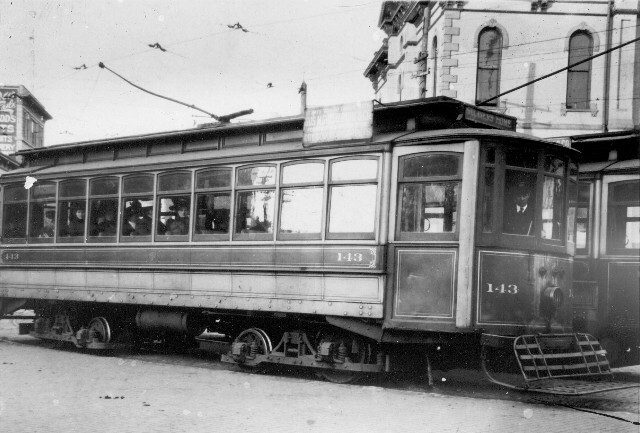 They were assigned to Danville city service in June 1914. 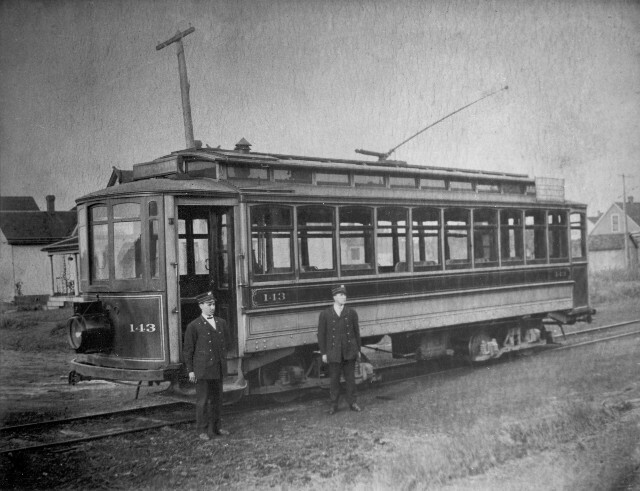 The first two pictures depict car 143 in similar configuration to car 140. However, it has only a single trolley pole, which means that no matter what the weather, the motorman had to exit the car and walk the pole around to the other end of the car when turning back. Note the large, removable headlight in the first picture. In the second picture, the car is signed for the Soldiers Home line. The car now has a smaller, permanently mounted headlight. We see the same car 143 in the third picture, after it had been converted to P.A.Y.E. service. 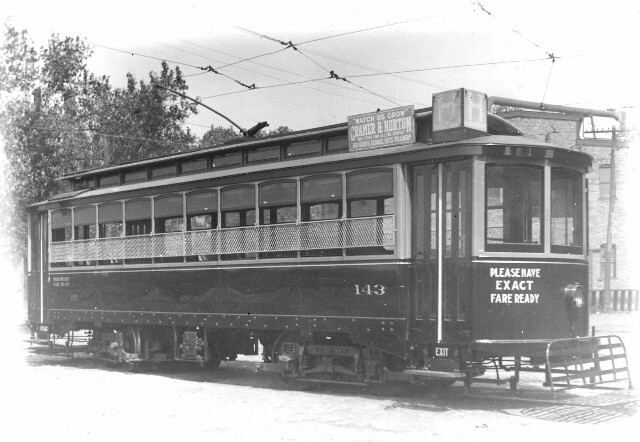 Now it has two sets of doors on each platform; passengers boarded at the rear and paid their fare, then could exit at the front, without having to push through the passengers boarding at the rear. Safety screens have been added to the side windows. The car has a new route sign at the right front corner; the large letter H denotes the Soldiers Home line. But it still has only a single trolley pole. Note the advertising sign on the car roof behind the letter H route sign. This was typical of the city systems operated by the ITS.